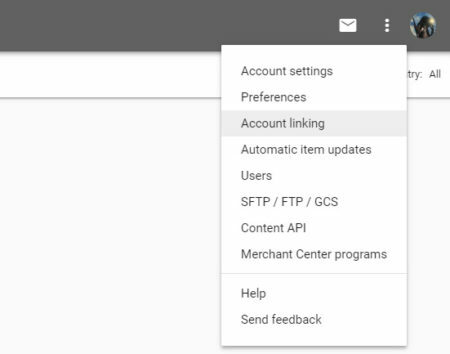 Google Merchant Center for Beginners: Getting Started with Google! Why? Well, your Google Merchant Center account is the hub that connects your ecommerce site to Google AdWords. Inventory, product categories, descriptions…everything Google Shopping needs to get your ads in front of the right people is pulled directly from your Google Merchant Center account. As good as Google’s algorithms are, Google still can’t read minds. Google AdWords doesn’t know what you’re selling (product name, SKU, size, color, description, etc), if it’s in stock or how much you’re charging for a particular item. You have to “feed” that information to Google. To give Google all of this information, you need a Google Merchant Center account. Using your Merchant Center account, you can upload a shopping feed with information (availability, price, color, etc) about all the products you want to sell. This tells Google what’s in your product catalog and what information should be in your ads. To create a new Google Merchant Center account, you first need to decide what email to use. Typically, I recommend using the same Google email account you have connected to your AdWords account (although this is not required). That way, you only have to keep track of one email address for all your Google Shopping accounts. Once you know what email you want to use, creating an account is as simple as clicking the big green “sign up” button and connecting your Google account (you can sign up for an account here). Once your Merchant Center account is created, you will want to connect it to your AdWords account. Navigate to the dropdown menu in the top right corner of the page by clicking on the three dots. From the dropdown, select “Account Linking”. You will then be shown a suggestion to link the AdWords account that is already linked to your email. 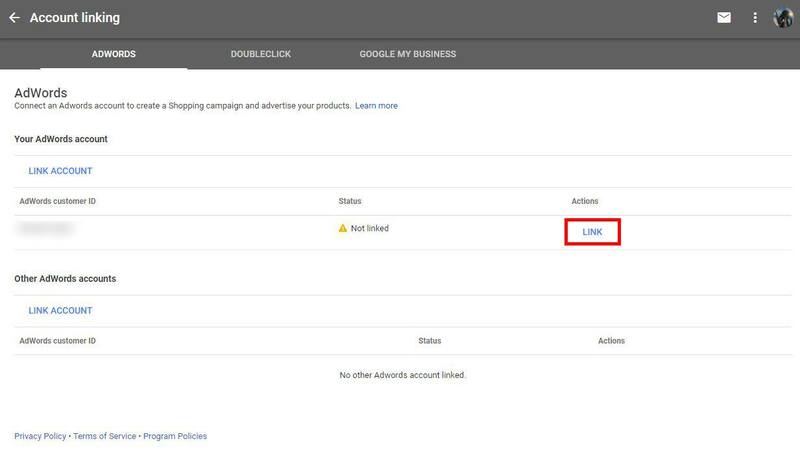 If you are using a separate email address for Google Merchant Center, you will simply need to click “Link Account” near the bottom of the page and enter your AdWords ID. 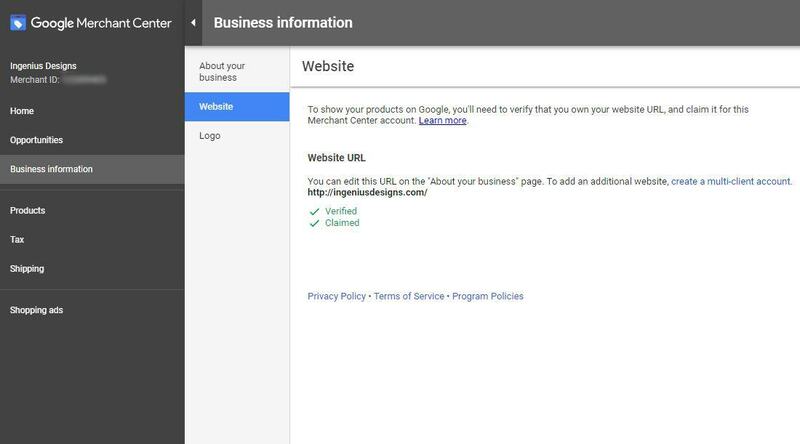 The next step will be verifying your website on Google Merchant Center. This is simply to verify that you are the owner of the website you are trying to advertise. This is done by navigating to the Business information tab on the left column and then selecting “Website”. Downloading a snippet of HTML code and adding it to your websites theme file in the <head> tag. Incidentally, if you’ve already verified your website through Google AdWords using this email account, you won’t have to worry about this step (see why I recommend using the same email address for both accounts?). Shipping and Tax settings are the next things that you will want to set up within Merchant Center. But don’t worry, the process is pretty straight forward. The good news is, you only need to set up rules for the states that you charge sales tax in (typically just the states you have a physical store in). Shipping settings may require a little more work based on the complexity of your shipping rules. 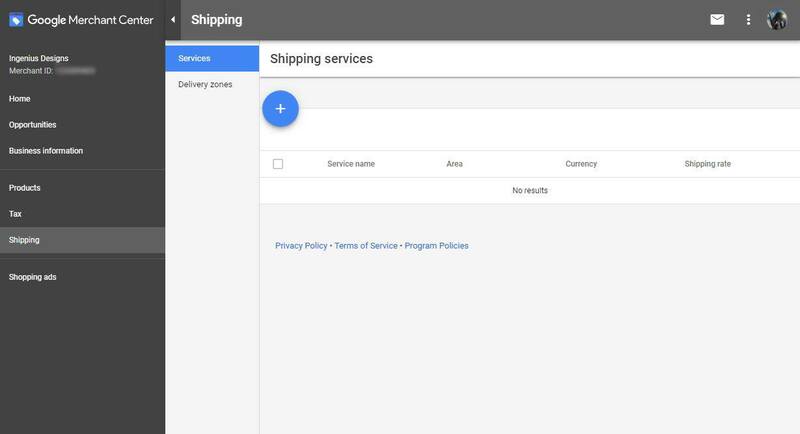 Google will not let you run any Shopping campaigns until you add this information, so click on “Shipping” in the left-hand navigation. You will need the locations, weights, and prices of the different shipping options you offer. By the way, if you offer free shipping, make sure you select Fixed Rate and enter $0.00 for the price. If you fail to do this, you will not see the “Free Shipping” promotional text in your Google Shopping ads. Once the feed has been connected using one of the above methods, you will then be able to see whether your product is pending, approved, or disapproved. The initial approval process on a new account can take up to 72 hours. If it has been longer than that, contact Google support and tell them it has been longer than 72 hours and they can manually push it through same day. To be honest, I have had experiences waiting weeks for a product feed to be approved, just to find out that if I had called in after 72 hours I could have had it approved that same day. Don’t make my mistake. In the event that your product feed has products that are disapproved, don’t panic. Head over to the diagnostics tab within Merchant Center under Products. Here you can see any errors that Google has detected with your feed. You can even download a .csv of the products that were disapproved and why they were disapproved. If all of your products were disapproved, you will want to click on the account section of that diagnostics page. If there are specific reasons why your account has been disapproved, you can find out why here by clicking on the Learn More link next to the error. In my experience, this link tells you exactly what you need to know to fix most issues quickly. As soon as you have updated your product feed to comply with Merchant Center standards, make sure you go back into the settings of the product feed and click Fetch Now. This will update the feed with the new changes you have just made. All of this is well and good, but what if you need to do something special with your feed, like upload multiple feeds or create promotions? To be honest, these sorts of situations are exactly why Google created Merchant Center instead of simply having you upload your product feed directly to Google AdWords. If you have more than one feed that you need to combine in order to get all of the data you need, Merchant Center now has the capability to handle this within the platform itself. You can add attributes to an existing feed by uploading a secondary feed. After connecting your primary and secondary feeds, you will then need to adjust your feed rules. Click on your primary feed and head to the Rules tab. Here you can specify which attributes to pull from each feed. One common example I have used is setting all attributes to default to the Primary Feed, but if an attribute doesn’t exist in the primary feed, use the attribute in the secondary feed. One feature in Merchant Center that is a little newer is the Promotions section. Here you can set up promotions to appear on your Google Shopping Ads. This can be a huge benefit to price sensitive shoppers who are looking for a deal. If you do not see the promotions tab on the left column in merchant center, that probably means that you still need to opt-into Promotions for Merchant Center. This can be done by going to this link and filling out some basic information. There are basically two ways to set up a promotion in Merchant Center. The easiest way to set up a promotion is if it is a sitewide promotion that can be used for any product in the feed. If you are running a promotion that will only be applied to a select number of products in your Google Merchant Center account, you will need to take one additional step. You will need to add an additional column in your product feed for promotion_id. This will be the attribute you can use to separate products included in a promotion and products not included. Simply add the promotion_id only to the products that are part of that promotions. Using this technique, you could potentially have 15 different promotions running at the same time as long as you have a different promotion_id for each promotion. Shopping feed optimization can seem tedious, but depending on the product, it can make a huge difference. 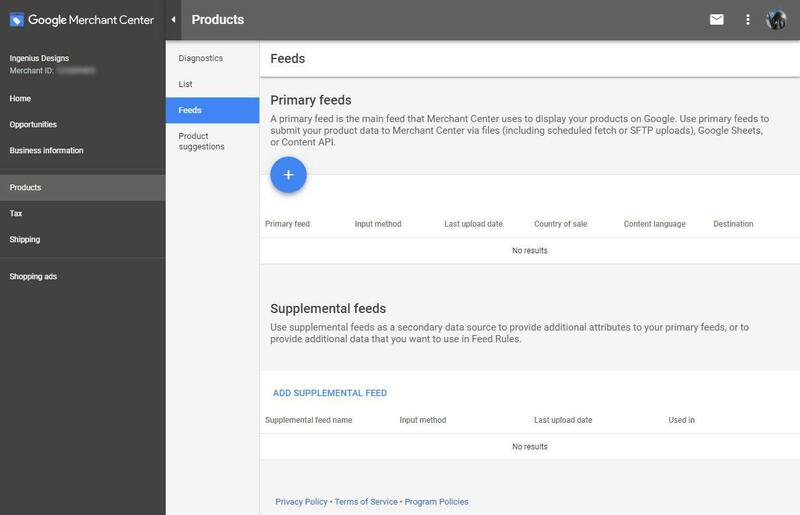 We won’t go over every single field you can upload to your Google Merchant Center account, but let’s take a quick look at most of the basic fields in your product feed. To help you make the mot of your product feed, let’s take a closer look at each of these attributes. For the title, you will want to have a short intuitive string of words that front-load the most important keywords. Your titles are how you market your products to a potential buyer, so it should come as no surprise that optimizing your titles can increase clicks by up to 9.6x. When it comes to writing effective titles, you don’t want to keyword stuff, but you do want to make sure you have the main keywords you are targeting somewhere in the title. Here are a few examples of good Product Titles. In general, when people are searching for products online, they’re looking for something specific. It may not be a specific brand or model, but they usually have a particular look, feel or color in mind. If they see that information in your title, they’ll be a lot more likely to click and make a purchase. To figure out what your potential customer are truly looking for, you need to see which search terms are triggering your Google Shopping ads. You can do this by clicking on “Keywords” and then clicking “Search Terms”. If you create a filter for “Conversions > 1”, you will be able to see every search term people entered that led them to buy your products. The resulting list of search terms will tell you what words people use to find and buy your products. This list gives you a lot of insight into the types of words you should be using in your titles. If people use certain phrases or vocabulary to describe your products, your titles should reflect that so that when people read your titles, they feel like they’ve found exactly what they’re looking for. Similarly, your description tells both Google and your customers what your product is, what it does and whether or not it matches their search. There’s a lot of debate out there about what constitutes a “good” product title and description. The key to success with product descriptions in the feed is front loading the most important keywords. Google weights the keywords in the beginning of the description more heavily. If you are able to creatively add all the keywords you want to show up for in the first sentence of the description, you will get a higher relevance score and be more likely to show up. At the same time, it’s important to remember that Google isn’t your customer. In addition to making Google’s bots happy, your description also needs to cater to your customers. As I mentioned above, the Google Product Category you choose affects which searches your product is eligible to show up in. Google product categories have been around for years now and they continue to be very important in making sure your products are showing up for the right search queries. There are hundreds of Google product categories to choose from. You will want to choose the most relevant subcategory you can find. Go as deep as possible into the subcategories (3-5 levels is ideal). You can find an exhaustive list of these Google product categories here. As you work to optimize your Google Merchant Center and product feed, make sure you keep an eye on the diagnostics tab. Looking at the diagnostics tab will quickly show you if you are missing required attributes and it will also tell you if there are errors with the existing attributes. One of the most common errors that I see is a missing GTIN (global trade item number). You can use an MPN (manufacturer part number) in place of a GTIN if you do not have a GTIN, but if you don’t have an MPN, you might feel like you’re up a creek. Fortunately, if your product has a SKU number, you can simply map that number to the MPN attribute and you won’t have any issues at all. If you have no such number, you can add an attribute for custom product and insert the value “True”. This will help you avoid this error altogether and give you an alternate way to get your feed up and running. If you are looking for more advanced capabilities for feed optimization, I would suggest looking at some of the third party feed management options that exist. Many are very affordable and if you are dealing with a large number of products, they usually pay for themselves with the improvements their optimizations make to shopping campaign performance. A couple of third party feed management companies I like using are Feedonomics and Go Data Feed. Feedonomics is much more hands off where you will basically hand everything over to them. Go Data Feed puts a lot of the power in your hands by providing you with access to their dashboard that lets you customize the optimizations you would like to make in an intuitive way. If you are thinking about it, you can usually get a free audit from these companies and then you can assess if it is worth the investment. A great Google Merchant Center account is the key to a successful Google Shopping campaign. Next to all the bells and whistles you can play with in Google AdWords, your Google Merchant Center account might not seem very exciting, but trust me, if you don’t take the time to keep your Merchant Center working properly, none of those bells and whistles will matter. Fortunately, setting up and managing your Google Merchant Center account isn’t all that difficult. If you take the time to follow the directions in this article, set it up right the first time and keep your product feed updated, you shouldn’t have much to worry about. 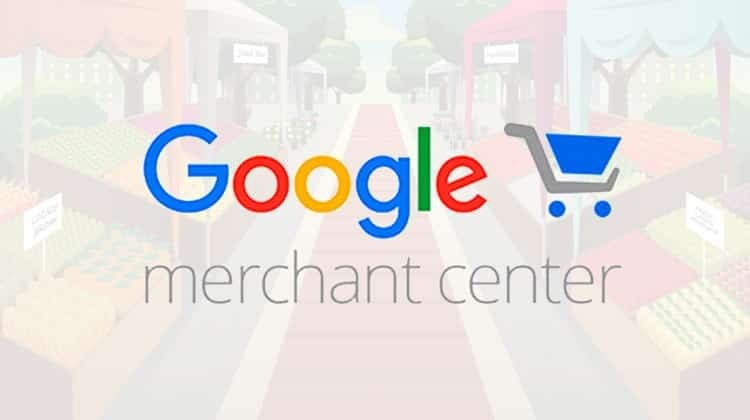 By the way, if you’d like help with your Google Merchant Center account or your Google Shopping campaigns, let me know here or in the comments. I’d love to help! Any tips for Google Merchant Center optimization you’d add to this article? Any questions you’d like me to answer? Leave your thoughts in the comments. Very useful knowlede for me, a newbie, Thank you somuch. Such an useful and kind article, thanks so much!